The film is so bright, you gotta wear SHADES. 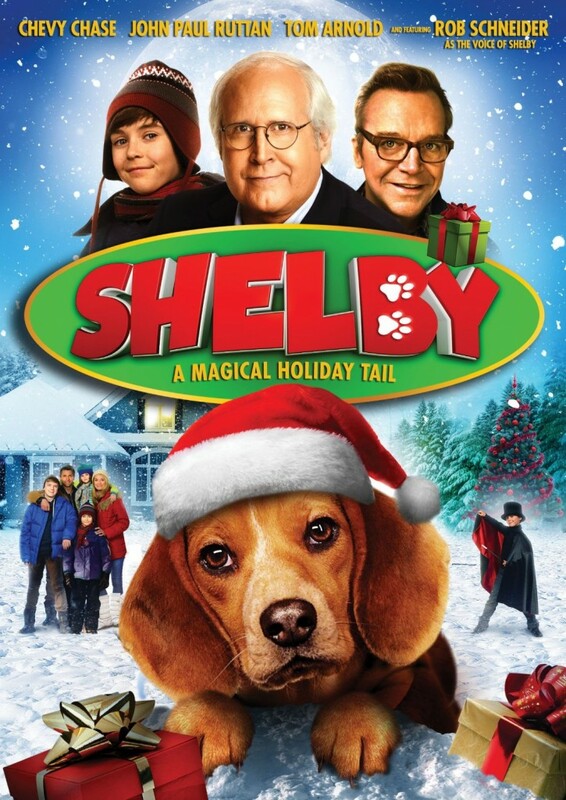 Shelby is a cute little dog movie, and Shelby (Rob Schneider) is, cute. It is never explained how the puppy repeatedly escapes from the pound, and that’s half the battle so it was a little disappointing. A button is pushed, (surely by the dogcatcher (Tom Arnold)) and next thing you know a dog is running in the streets. This doesn’t make sense unless the dogcatcher wants a regular exercise regime to break the monotony of small town life (as is perceived from the film). 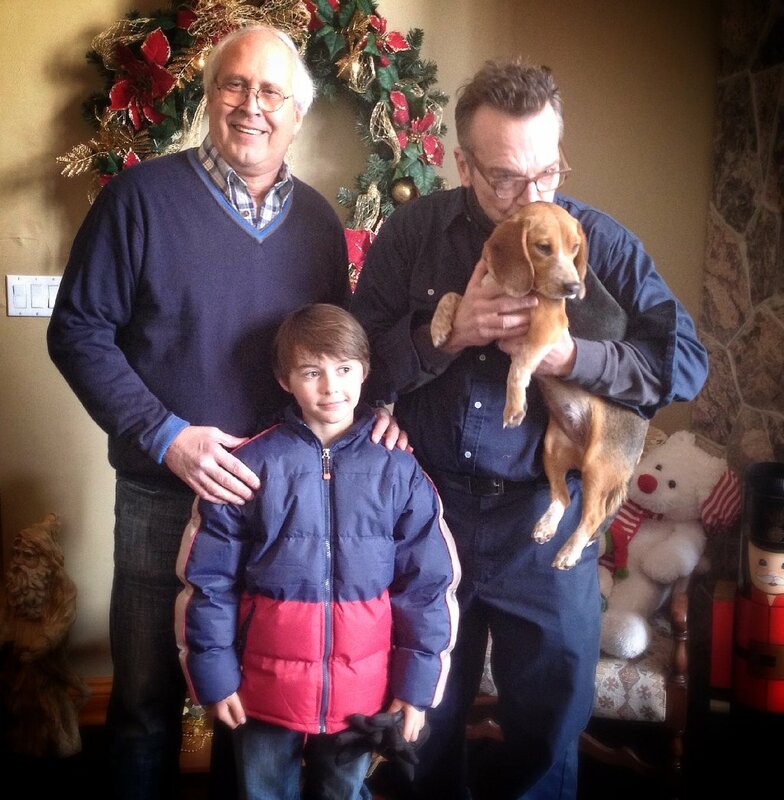 During one of Shelby’s escapes, he runs into the Parker family (or is hit by Ed Parker (Jefferson Brown)) who are going to show us what Christmas is all about or at least try. Schneider, like many characters, has WAY too much dialogue. The dialogue drowns out and disjoints the story by drawing attention away from what’s happening (being shown). (Shout out to my screenwriting professor, who definitely knows her craft) The dialogue often doesn’t match the dog’s mannerisms. It is difficult to tell which is most at fault editing, the dog’s training, or the dialogue itself. In films like the Look Who’s Talking series, Cats and Dogs, etc. the babies/children and animals expressions are so in line with the text and timing that is appears the illusion is actually possible, movie magic. This is not present in Shelby. Especially, if Shelby has something in his mouth then Schneider should have incorporated muffling or sounds to compensate for it. Even the trigger to by giggle box, the great, Chevy Chase doesn’t have the same punch he has had all of my life. The comedic genius portrayed as Clark Griswold (National Lampoon’s Vacation series), Fletch (from the film of the same name), Nicholas Gardenia (Seems Like Old Times), Tony Carlson (Foul Play) and my first exposure to Chase, Ty Webb (Caddyshack series) just doesn’t translate or show up here. Also, the attempted infusion of social media into the story is disruptive and doesn’t play natural. Arnold had his usual diarrhea mouth, too. In fact, he gets to ramble like 4 different morals of the tale. Shelby runs so fast that I could blink and the film would be over. No time is allowed for what little comedy is present to soak in. The sound effects are over done and some are so gross yet have little payoff. Often, the plot lines don’t really make sense. If a dog can sneak in, he surely can sneak out. Everyone has a strong WHITE glow, far too much light. This is not just outdoors where it makes some sense, but indoor as well. 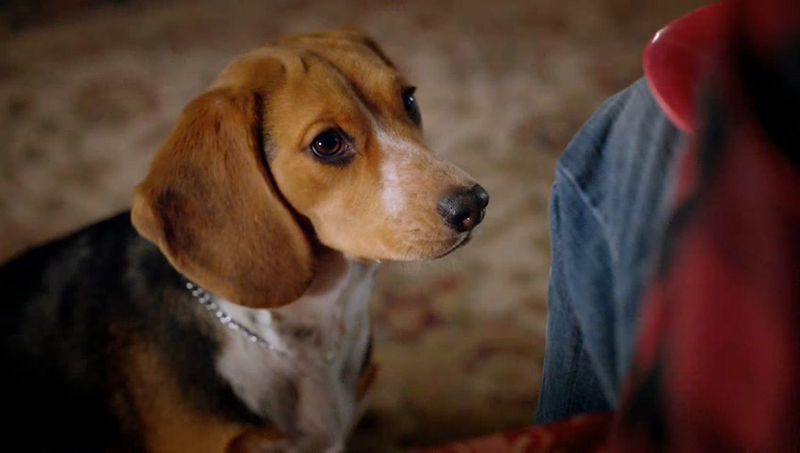 According to the trailers on the DVD, Anchor Bay clearly loves dog themed films. Unfortunately, I couldn’t love this one. It needs some work. To end on a high note, I did enjoy the resourcefulness of rescue. If you choose to watch this film, then you’ll see. This entry was posted on Wednesday, November 4th, 2015 at 9:54 am	and is filed under Film, News. You can follow any responses to this entry through the RSS 2.0 feed. You can skip to the end and leave a response. Pinging is currently not allowed. « Jon Stewart Makes Content Deal With HBO!! !